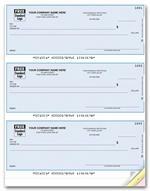 946 Check Storage Box 9 x 12"
5Forms Business Checks & Forms > Business Checks > Check Envelopes & Banking Products > 946 Check Storage Box 9 x 12"
Organize checks. 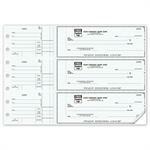 Dividers separate checks by quarter. Each corrugated box holds 9" of standard checks. Space on outside to label contents and account info. 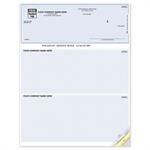 53221N 3 On A Page Counter Signature Checks 12 15/16 x 9"
53222N 3 On A Page Business Size Checks with Side Tear Vouchers 12 15/16 x 9"
59000N The Traveller Business Size Portable Checks 8 5/8 x 3"
DLA104 Laser 3 To A Page QuickBooks Compatible Lined Checks 8 1/2 x 11"
DLT104 Laser Top Checks QuickBooks Compatible Unlined 8 1/2 x 11"
$20.18 946 Check Storage Box 9 x 12"